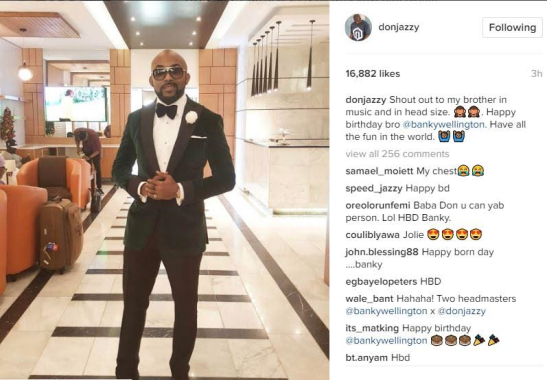 Don Jazzy took to his IG page to celebrate Banky W who turned 36 today and penned him a hilarious message. He wrote: 'Shout out to my brother in music and in head size. 🙈🙈. Happy birthday bro @bankywellington. Have all the fun in the world.